These are the most significant of the regular services and are always led by an ordained minister. They may differ slightly in presentation, but both celebrate the Last Supper where Jesus Christ shared bread and wine with his disciples shortly before being crucified. Those who have been Confirmed approach the altar and receive consecrated bread and a sip of wine. Others are welcome at the service and can receive a blessing instead of the bread and wine. There may be a sermon. These services include hymns, readings, psalms, and prayers. A choir may be present and there may be a sermon. They can be led by a suitably trained Layperson. Compline is traditionally the last service of the day and is frequently available during Lent. Like Morning Prayer and Evensong, it can be taken by a Layperson. There is no sermon. Like Morning Prayer, but focused on families. This is an 'all age' service that will appeal to younger people while remaining relevant to older generations. Services in the Sid Valley Mission Community usually follow a set format (liturgy). They are laid out in books that guide the Minister and the congregation. 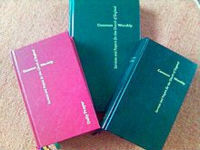 Within limits, Church of England Ministers are free to choose which book to use for their services. Created in 1549, but revised a number of times until 1662. Updated to reflect modern spelling and grammar, it remains in use. 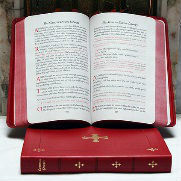 Since 1662, other books have been published, with varying degrees of sanction from the Church of England. The most important was the ASB which came some 300 years later. 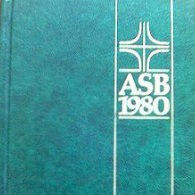 Created in 1980, this book provided an alternative to the BCP rather than a replacement for it. Twenty years after the ASB and in time for the millennium, Common Worship appeared. In practice, this publication is in a number of volumes. It replaces the ASB while still offering an alternative to the BCP. In some of the listings of church services, you might see the initials BCP or CW; for example Holy Communion (CW order 1) or Holy Communion (BCP). The first means that the service will follow the pattern laid out in Common Worship variation 1, and the second means the service will be as prescribed in the Book of Common Prayer. Whatever the service, there will always be the correct book or printed sheet available for the worshipper to follow and get maximum value from the occasion.